The Daily Mammal is celebrating the World Cup in the only way we can: by visiting with one mammal from each of the 32 participating countries. Today, let’s go to Greece! 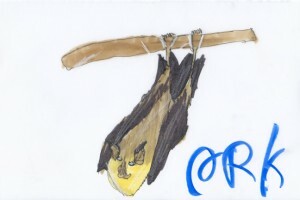 The Mediterranean horseshoe bat lives, yes, around the Mediterranean Sea, including in that land of olives and capers, Greece. The most pressing question about this bat is what’s up with that nose? Well, bats navigate by echolocation, of course, and horseshoe bats emit high-pitched noises through their nostrils and listen for the echoes to return to them. 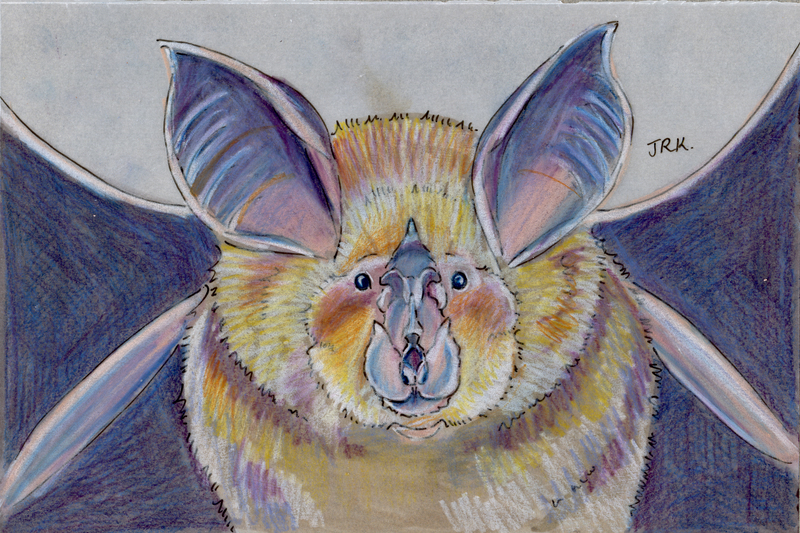 The going theory is that the rococo folds and petals of the bats’ noses help them focus the sound. I think their noses look like Georgia O’Keefe flowers…and you know what those are supposed to look like. Now, Greece and the World Cup. Before this year, Greece only managed to qualify for the tournament once, in 1994. The team didn’t manage a single goal, though, and needless to say, did not make it out of the first round. Their first game in the 2010 World Cup, which they lost 2-0 to South Korea, seemed to indicate a continuing trend. In their second game, Greece gave up the first goal to Nigeria, and were once again behind. But then a Nigerian named Sani Kaita saved the day for Greece by getting himself sent off the pitch (don’t I sound like I know what I’m talking about?) about 30 minutes into the game. In soccer, players who offend but not too badly are shown a yellow card and warned to knock it off. When they do something really uncalled for, reckless, unsportsmanlike, or violent, they are shown a red card and removed from the game. Then their team has to play with one fewer player than the other team for the rest of the game, and the offending player can’t play in the next game, either. After Sani Kaita’s ejection, everything turned around for Greece, and they wound up scoring two goals: the first two goals they’ve ever scored in the World Cup. Here are the highlights (the red-carding comes at about 26 seconds in). Now, just like that, Greece can hope to advance to the Round of 16. Coco drew a Mediterranean horseshoe bat, too. Didn’t she do a great job? Great drawings, Coco and Jennifer. And I need to know what did the Nigerian do that was bad enough to be ejected? He looks ready to take off, Coco! Very nice Jen! Thanks, Dad! Glad you like our bats.